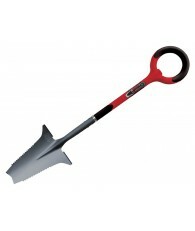 Handy digger will cut through root-filled, heavy clay soil with surprising ease. Lifetime Guarantee. 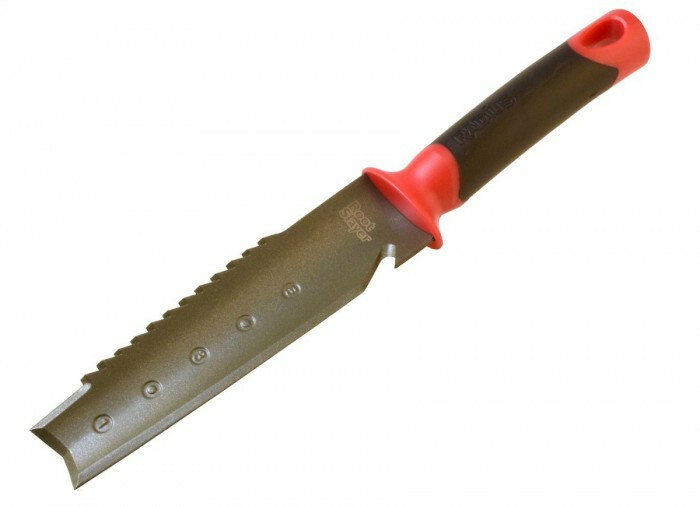 We might have called the Root Slayer Soil Knife the Root Slayer Hori Hori, but we were afraid people might not know about one of the oldest and most essential garden tool designs of all time. 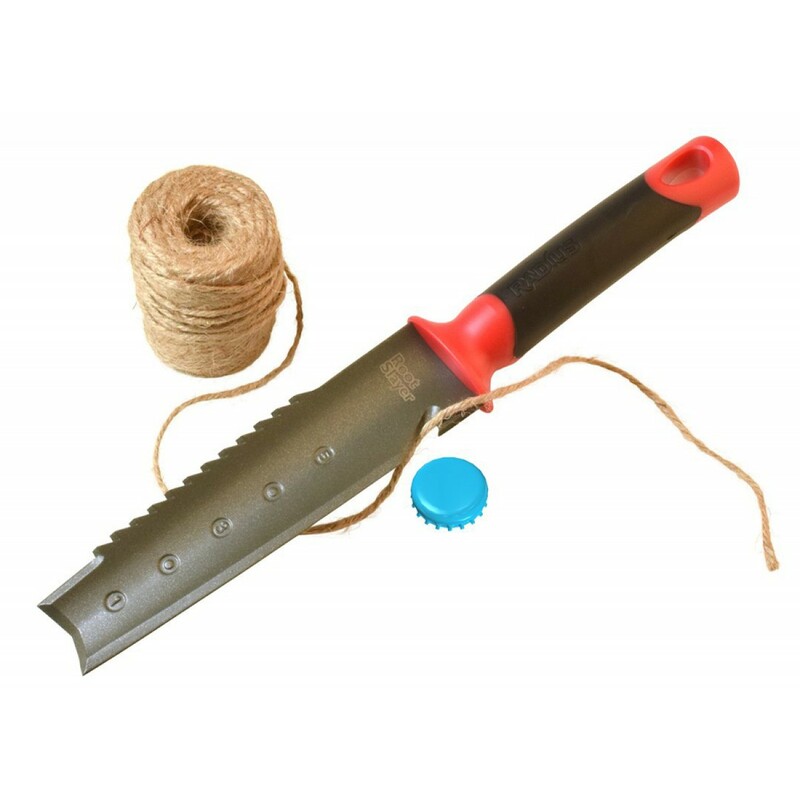 Based on original Japanese designs, but updated with modern materials and style, the Root Slayer Soil Knife can perform the functions of almost any hand tool in the garden. 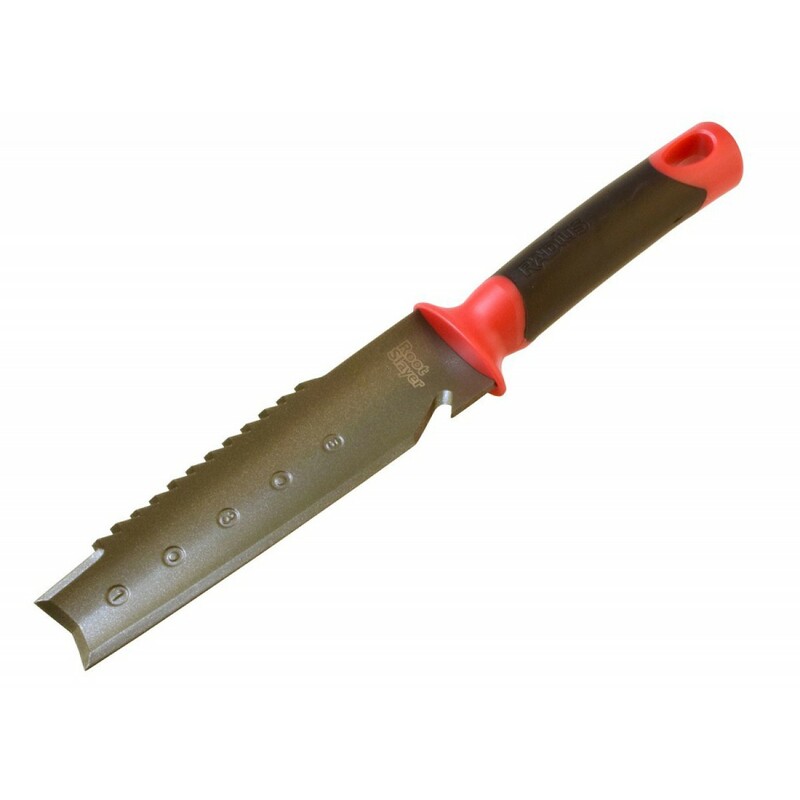 Use it as a substitute for a trowel, transplanter, cultivator, or most importantly, a weeder. 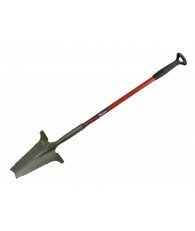 This handy digger will cut through root-filled, heavy clay soil with surprising ease. When in the lawn, garden, or potting shed we never like to be without this versatile tool. Delivered with an enamel powder coating, the Root Slayer Soil Knife features an array of dozen saw-like cutting teeth on one side, a long sharp blade on the other side, the signature Root Slayer inverted V blade tip, and a combination twine cutter and bottle opener near the ergonomic grip. Feel free to sharpen any or all of the mid-carbon steel cutting surfaces for a very long lasting edge. Lifetime guarantee. 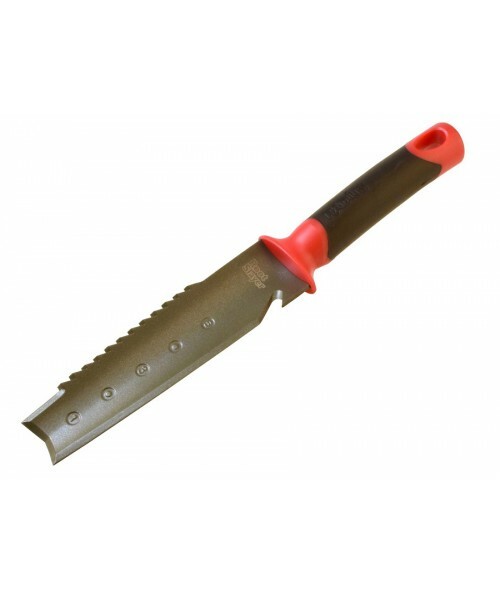 Root cutting hori knife/soil knife designed to last a lifetime of digging and weeding for the serious gardener. 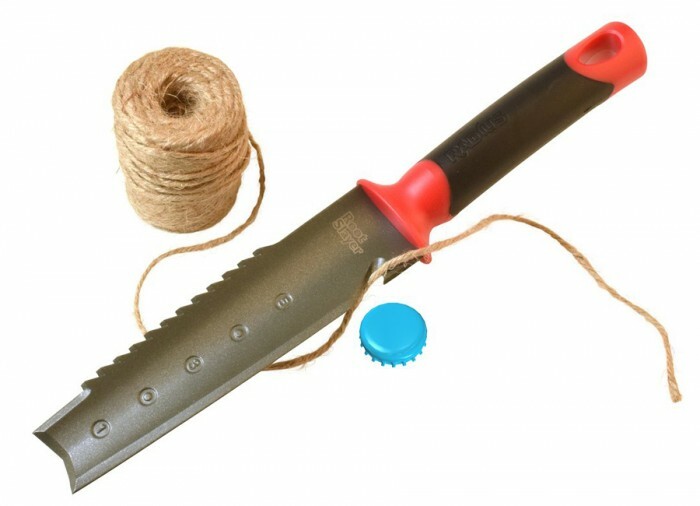 Heavy duty blade features a dozen ripsaw teeth on one side and a smooth cutting blade on the other, an inverted V cutting tip, and twine cutter/bottle opener. Powder coated enamel carbon steel blades can be sharpened for a long lasting cutting edge. Non-latex, thermoplastic grip with polypropylene core. You get what you pay for, and in this case I violated my cardinal rule to buy only the best quality tools. This digger worked well, but only for about 8 outings before the blade snapped from the handle. Over the past 30 years I've bought no less than 25 detectors from Kellyco and to date have never had a problem with them for any reason!